First we were told Brexit could mean the end of the Premier League. Then they said it would destroy London’s economy. Yesterday George Osborne told us house prices would collapse. Today David Cameron is predicting world war. Intimidating the public into voting the way Downing Street wants might sound like a good idea late at night in Chequers. In the sunshine of a spring morning, it looks ridiculous. I am increasingly confident that the Remain side are going to lose the referendum, and one of the reasons is because of the cackhanded way the Remain side are making their case. At no point has anyone on the Remain side made a positive case for Britain being in the EU. “It’s rubbish, but we need to remain” is their pitch. Downing Street started off assuming that undecided voters would be bowled over by David Cameron’s fabulous new deal. It turned out to be a damp squib. The Remain side seems to assume the public is going to recoil at the supposed risks of voting to leave. It turns out that the public rather resent ministers talking down Britain. It is a little hard to keep suggesting that the whole idea of self-government is far too complicated and risky, when you are the government. Downing Street has badly misjudged the mood. There is an honest, honourable case to be made for Britain’s membership of the EU. It’s not a view I share, but there are valid points to be made. Instead of making them, the Downing Street clique are taking the electorate for fools, talking down at them. This endless succession of obviously bogus stories about the dire consequences of what will happen if we vote to leave is starting to grate. Far from convincing undecided voters, it screams out at them that this is how the political elite think that you think. You can be patronised (“No more football”), lied to (“The price of your house will fall”) and bamboozled (“All the experts say we must stay”) into voting the way they want. Yet the public know that there is nothing outlandishly risky, reckless, or irresponsible about wanting to be a self-governing country. 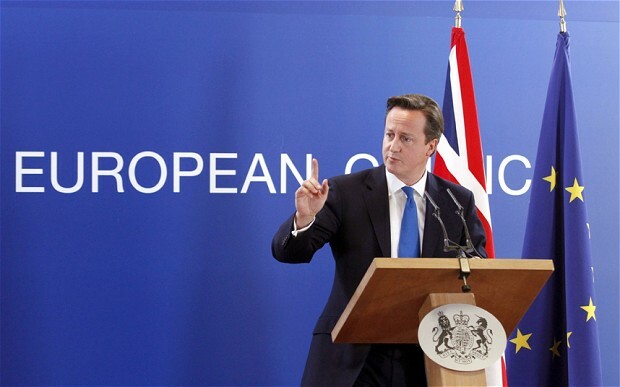 If David Cameron has confidence in his case, why can’t he make it honestly? He doesn’t. And every time he keeps patronising the punter, he declares it. This blog post was originally published on TalkCarswell.com, and has been reproduced here with the author’s permission. Douglas is UKIP's MP in Westminster. Douglas favours free markets, small government and individual freedom. He would like to see far reaching political reform and has consistently advocated measures to make politicians more directly accountable to those they are supposed to represent. The Rumble in the UKIP Jungle – Team Farage or Team Carswell?